The first thing that we have to do is take the time to really understand and appreciate what, exactly, Assisted Living Colorado Springs is. This is a specific kind of care that is all about providing support and safety to all of those who are needing it. It’s about providing medical attention to those seniors or adults with Alzheimer or Dementia. It’s all about providing companionship, patience and compassion so that you and your loved ones are going to be able to have the help that you’re looking for to make everyone’s quality of life better. We here at St. Padre Pio Assisted Living Colorado Springs strive to honor and care for our senior citizens like they should be. They also deserve the best environment. We opened up our care home in Colorado Springs because of the beauty and fresh clean air here. Our views are outstanding, and with the relaxed environment, our seniors glow and smile here. Assisted Living Colorado Springs was meant to be. Assisted Living Colorado Springs normally means that your special loved one will find the right group home situation where they are going to be able to enjoy a quality living experience that will help give you comfort as much as the special one in your life. What does Assisted Living Colorado Springs involve? 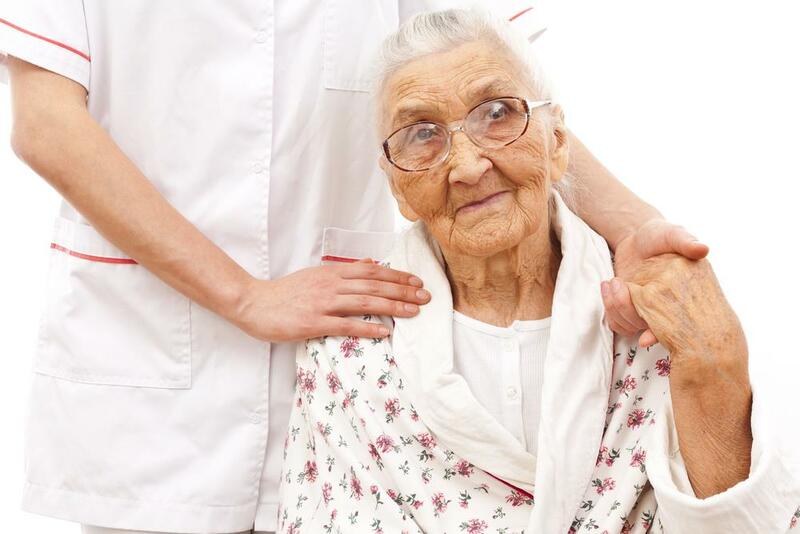 Specifically speaking, in looking at Assisted Living Colorado Springs , you’ll be finding situations that will provide around the clock care by caregivers and nurses, meaning that your loved one is never alone or not cared for. Additionally, there will be meal options to choose from, all three of which will be nutritious and geared towards offering a great taste and nutrition all in one shot. You’ll also find that there are a variety of activities that are intended to give interaction, fun, and education to the residents of the homes that you are looking at, including field trips and adventures that will give everyone a great experience and time. There are also added benefits to Assisted Living Colorado Springs such as regular laundry and housekeeping so that everyone is kept comfortable and clean. If you’re still trying to take a look at the benefit of Assisted Living Colorado Springs compared to the situation in your mind, and your existing life right now, than take a look at the list below and you’ll be able to see how it is all going to be helping both you, your family, and the family member who needs some extra help, all with top quality professionalism and support. Peace of mind: When you, yourself, are providing around the clock care for your loved ones, you need to make sure that you always work to provide the top of the line quality and protection. That’s a lot for you to handle when you have other people – including yourself – to take care of. Therefore, Assisted Living Colorado Springs gives you peace of mind knowing that you can properly take care of yourself in the way that you need to, and that they will be as well. Safety and security: As love ones require more support, you are going to start worrying about the safety of your family member. Here at St Padre Pio assisted living safety is our priority. Clients need to know that they are safe and secure. The right kind of support: The thing to remember is that there is only so much that you can do. Despite how hard you work and how you train yourself, there will come a point in time when you need to just simply remember that you have to let someone else take over. When you have specially trained caregivers and nurses on staff to help out, you will be able to find that everyone is getting the right kind of protection and help that is needed, when it is needed. It is worth all that you think it is, and then some. Here our Assisted Living Colorado Springs is all about safety. If you are in the area and you are looking for a way to see if Assisted Living Colorado Springs is the right option for you and your family, take a look around. You’ll easily find the best assisted living facilities in Colorado Springs so that you can find the right way to transition your life in the right, perfect way for you. No one said that is an easy decision, but you’ll be able to take a look at the best options for quality senior living Colorado Springs so that you decision will get a little easier to make. The way to look at this kind of care is to see it as having support and guidance to help you through the tough times medically and emotionally, and still be able to be a huge part in the life of this family member, just like before you found support and help with trained professionals. The only difference is that you’ll have trained professionals to give companionship and help to your family member for a better quality of life all around. Caregivers are present 24 hours a day, 7 days a week. An on-call nurse is available for as needed care and support. Three delicious meals are provided daily with at least two dinner options. Alternative selections can be prepared with advance planning. A variety of activities are offered and include games, regularly scheduled trips to visit museums, galleries, entertainment events in Colorado Springs and other engaging outings..
Free transportation is provided for scheduled doctor’s visits, shopping and other appointments with the exception of residents who have medical complexities that require alternative transportation. Exercise programs, therapy and rehabilitation. Palliative care and hospice services are available through third-party providers and the support of our staff. If this sounds like what you’re looking for in Assisted Living Colorado Springs, and you’re ready to take a look at seeing what we can do to figure out the right program, we are so glad that you are considering it and hope that you will find exactly what you’re looking for. Senior living Colorado springs is the way to go.